Woof Woof! 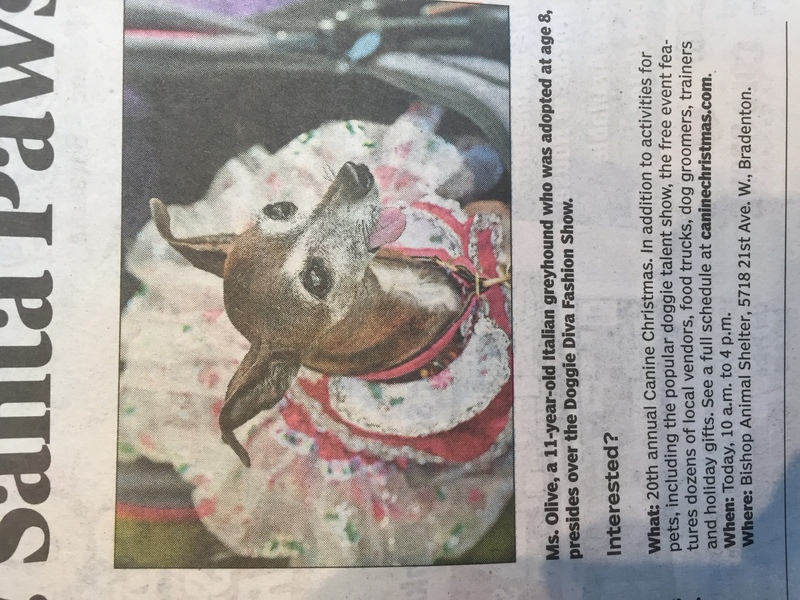 Miss Olive had so much fun hosting the Canine Christmas Fashion Show this past weekend … and in true diva fashion she was featured in the local newspaper, The Herald Tribune! 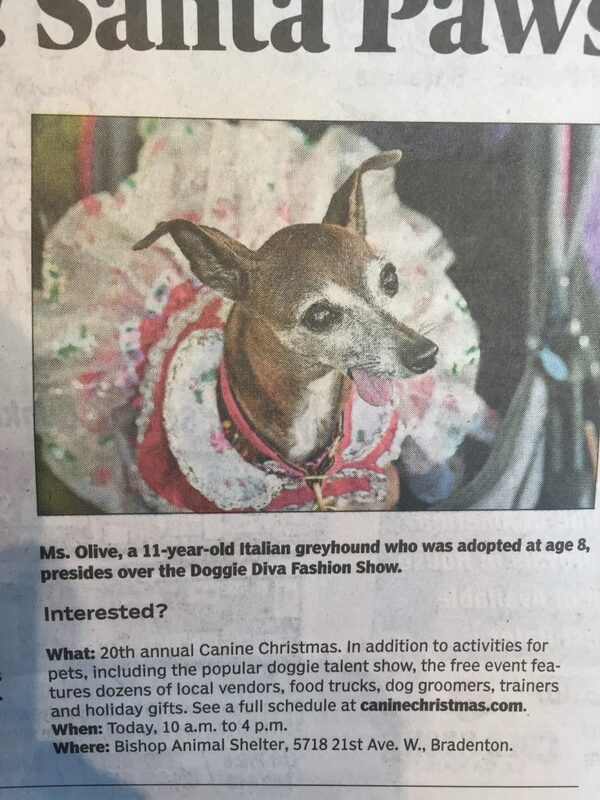 Thank you to everyone involved in this pawsome event!